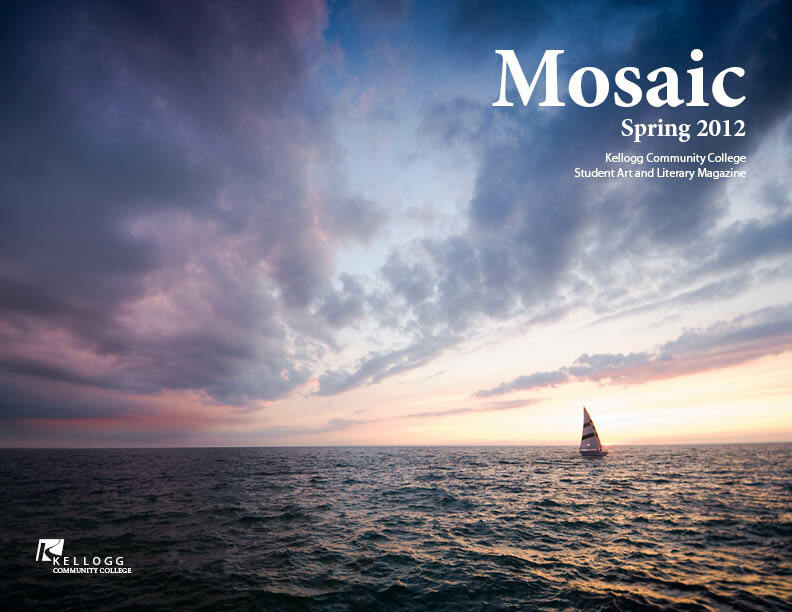 The Spring 2012 edition of Mosaic, Kellogg Community College’s student art and literary magazine, is out now. The magazine is free and should be available to pick up on all campus sites, in the library, on newspaper racks and in the English and the Arts and Communications offices. Art for the Mosaic was selected by the Art League, and written work was selected by the Crude Arts Club. For more information about Kellogg Community College’s Mosaic, visit www.kellogg.edu/artscomm/mosaic/index.html or pick up a copy on campus.